We are going to be having our 12 Steps In 1 Day Workshop soon! 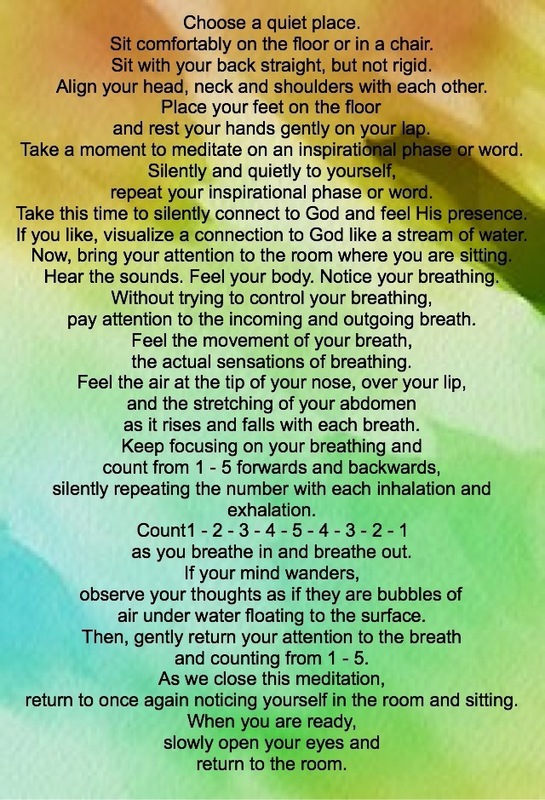 So, I wanted to post this for the participants so that they could have instructions on how to meditate with a picture. I hope this will be helpful for others!